This saying really resonated with me. As a travel advisor I consistently hear people say they are too busy to take a vacation and too busy to take time to care for themselves. The irony in this is that if you are not healthy you are not able to care for yourself and others at the best of your ability. It has become my passion to find opportunities for people to combine travel with wellness and match clients with the property/destination that is best suited for them. Humans have zero patience with wellness. We want it now and in a hurry. To be well does not just happen overnight, but once you start taking steps to focus on caring for yourself you can at least begin the journey. I recently visited the perfect place to start this journey at Skyterra Wellness Resort. 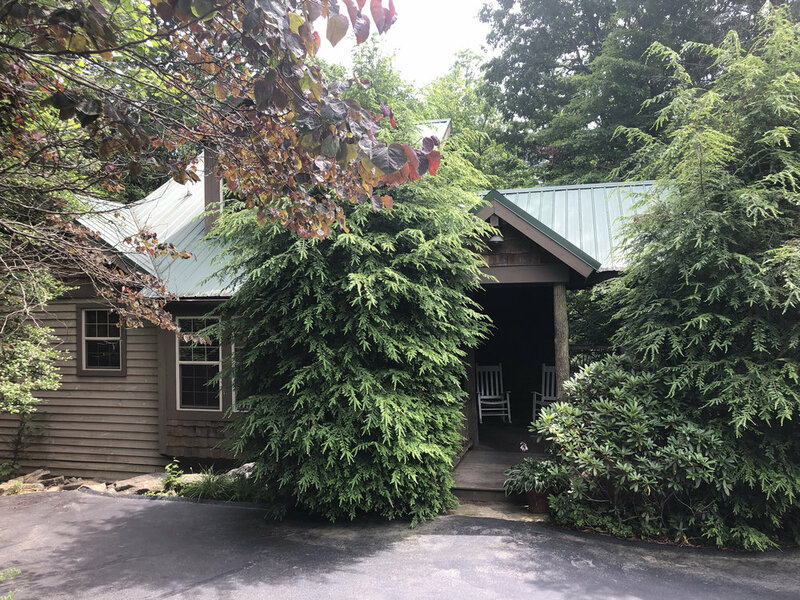 Just outside of Brevard in Lake Toxaway, North Carolina the property is 1 hour from Asheville, 2.5 hours from Charlotte and 4.5 hours from Charleston. Skyterra Wellness is a beautiful mountain retreat where you can set aside life’s obligations and focus on your own health and well-being. Here you come to understand that there is a “we” in wellness and “I” in illness. This retreat is a destination where the community is centered around working together to be well. Every one of the team members at Skyterra is an expert in their field. With a high staff-to-guest ratio (a max of 20 guests at a time) you will get personal attention in a welcoming environment that is the perfect space for you to relax and flourish. Guests come to Skyterra for many reasons – to lose weight, relieve stress, recover from injuries, illness or emotional trauma, or to simply learn how to adapt to an all-around healthier lifestyle. No matter what your personal needs are the staff will meet you at your current level. The daily schedule allows freedom of choice and plenty of downtime to relax or even schedule a spa appointment. Each day includes options of fitness, education and recreational activities. Fitness: walks, yoga, pool exercises, strength training, toning, mobility, and resistance bands. Educational Classes: round table discussions that engage you in redefining fitness, personalizing your nutrition, building resilience, sleeping well, and cooking demonstrations. Recreational Activities: hikes, tennis, stand up paddleboarding, fly fishing, kayaking, a trip to the farmers market, or an excursion to Biltmore Estate. You might ask, "What makes Skyterra different from other wellness retreats?" From my experience, the Skyterra philosophy is the game changer. You won't be working out for hours each day or surviving on a limited calorie diet. The focus is on enjoyable changes and building healthy, sustainable habits like consistent movement, eating whole foods, and restorative stress management practices. Life can interfere with taking care of yourself. Give yourself permission to take time for you. No matter if you are 22 or 72, whatever your health goals and challenges are, a wellness retreat is your opportunity to make meaningful progress and take a step closer to being your best self. Contact Wanderlust Travel to take the first step and let us plan your wellness retreat.